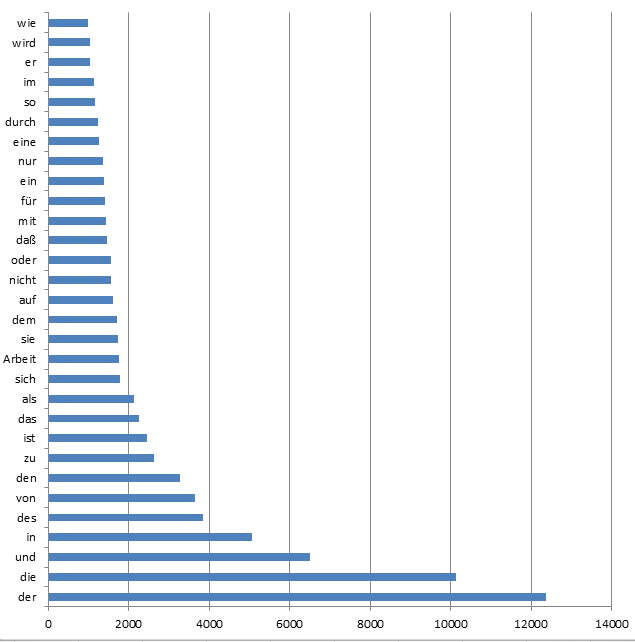 The diagram below depicts the results of parsing the “Das Kapital” by Karl Marx (top 30 words). The following function will return a list of all subclasses inherited from a given class. Please note, that it works only within a single assembly, same as which holds the given superclass. Dim _assemblyName As String = "MyAssembly"
Dim _typeName As String = "MyNamespace.ExampleControl"
Dim _assemblyName As String = "PresentationFramework, Version=4.0.0.0, Culture=neutral, PublicKeyToken=31bf3856ad364e35"
Dim _typeName As String = "System.Windows.Controls.DatePicker"
Dim _assemblyName As String = "PresentationFramework"
For more information about the reflection, please refer to MSDN: http://msdn.microsoft.com/en-us/library/f7ykdhsy(v=vs.110).aspx. 1. A new RDL is being created based on a data returned by a given SQL statement. 2. Newly created RDL is used as source of LocalReport in ReportViewer control. 3. 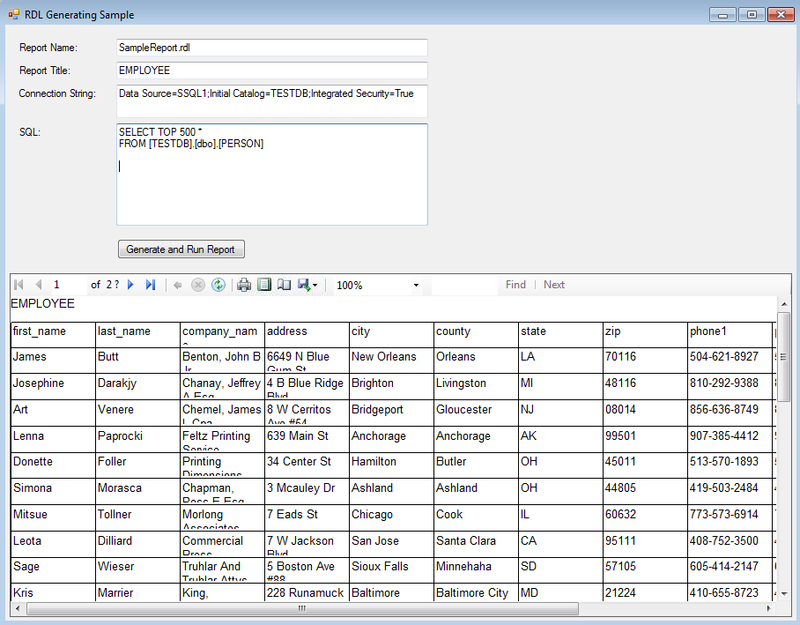 A data source (DataReader) is bind to LocalReport and, finally, the report is rendered and opened in ReportViewer. 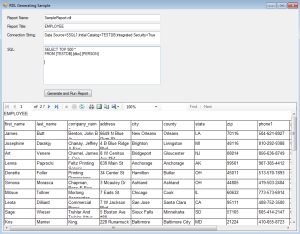 For simplicity, the sample report contains only two elements: a title (TextBox) and a table (Tablix) in a predefined format. 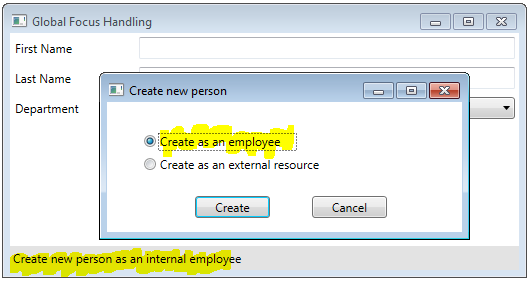 The dynamic part is that the title can be provided by a user, and the column list in the table is build based on the fields returned by SQL provided by the user. Other way of using the generated RDL is to upload it to existing SSRS server using the SSRS web service and then link ReportViewer.ServerReport to it. 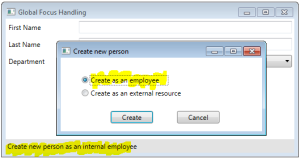 In this case you won’t need to bind a data source to ReportViewer, since SQL Server will do all the magic for you itself. The full source of the sample you will find here: RDLSample.zip.Hope it will be a good starting point in developing of your own nice report builder. You will find quite a few cases when your application would need to handle the changing of keyboard focus globally at application level, not just on a single control element or even a form level. The simple adding listeners to all possible elements will not be an effective way and doesn’t guarantee you to have full control on these events. More effective and reliable would be to register a handler for routed events Keyboard.PreviewGotKeyboardFocusEvent and Keyboard.PreviewLostKeyboardFocusEvent. It should be used with attention though, because due to the fact that they are preview events, this method may lead to the wrong results if some element in between has marked the event as handled. The attached WPF example project demonstrates how to update the application’s status bar with the ToolTip text of the selected/focused control (of course this concrete thing can be done in more elegant ways, but just for a simple example). The example project can be downloaded from here: GlobalFocusHandling.zip. Copy the resulting package to your java project. Amon other things, it will contain the ReportingService2005 class and the ReportingService2005Soap interface which are the main point of your interest. Generally speaking, VBA doesn’t provide the possibility to serialize objects, and if you are interested in this topic, you might seen quite a few blogs around this thing, and the answer is always the same – generically not possible, period. But nothing is impossible though. This article describes a workaround which will give you a general way to serialize any type of objects, including those derived from the native VBA classes (e.g. Workbook etc), custom VBA classes and the COM objects. Start a transaction and select from the table using the (TABLOCKX) hint. As the result, read from this table outside of the transaction will be queued until the transaction is committed or rolled back.